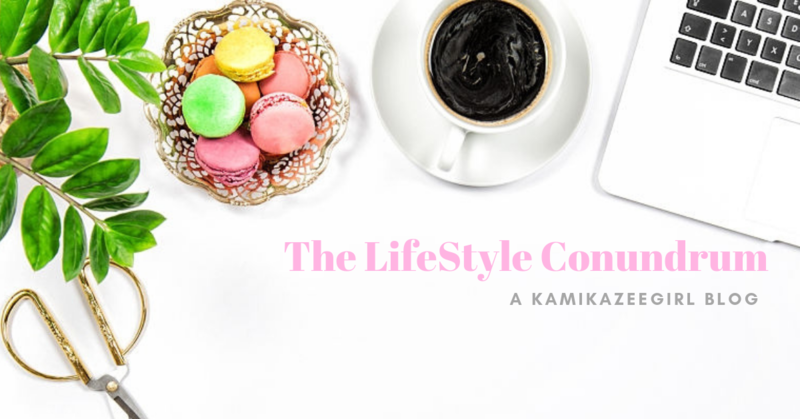 I lived my whole life in Makati, so everything that I know is usually confined to the Central Business District and the shopping and dining areas where I lived. 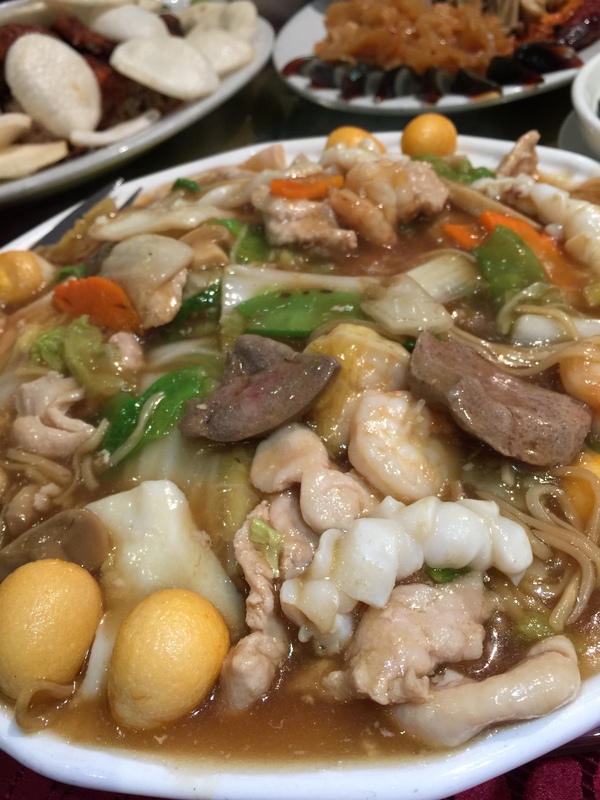 After marrying my husband whose family is firmly planted in the South, I soon started to discover the many restaurants and charming hole-in-the-wall eateries and bistros that dot the length of Presidents Avenue and Aguirre within the BF community. We were there to celebrate our father-in-law’s birthday — immediately, we are assisted by the friendly service staff. 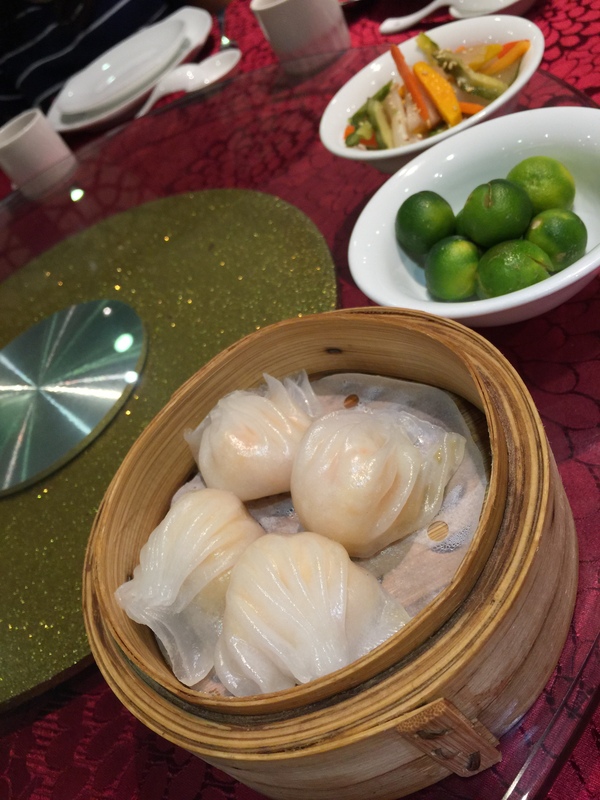 Immediately, we were plied with a cart-full of dimsum. My choice was the Hakao, which was served piping hot. My hands-down favorite is the steamed fish in garlic, served on a bed of tofu. The fish was juicy and succulent, its flavors very distinct yet without the “lansa” usually associated with steamed seafood. The garlic bits and and the soy flavored sauce provided additional flavor to the fish and the tofu. Tofu was firm and does not fall off the chopstick, but melts in your mouth without the gritty texture associated with hard tofu. 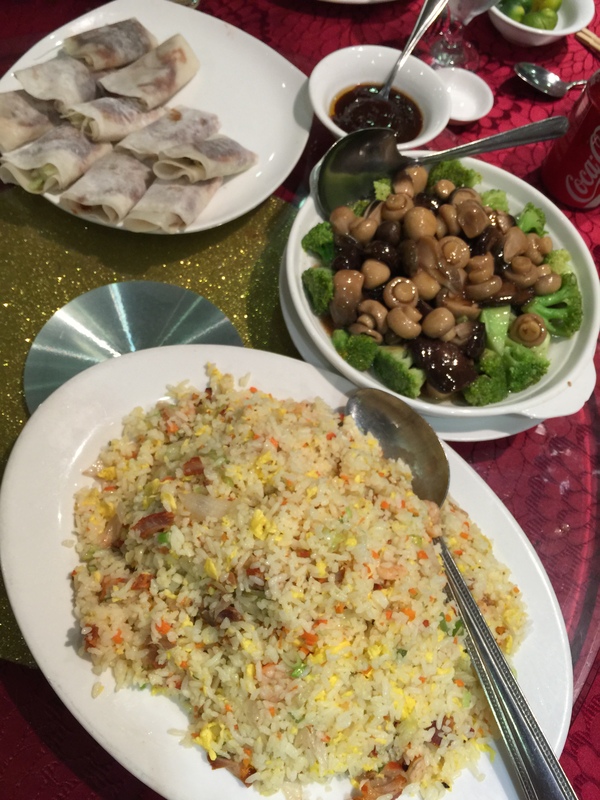 A close second is the Peking Duck which was chopped, sauteed with vegetables and was served with lettuce. I loved the aspect of wrapping the meat in lettuce which was very crunchy and juicy. The other half of our duck order was served wrapped in lumpia wrapper with fresh veggies — this one, I did not like simply because I hated the sweet sauce it came with. For someone who swore eternal loyalty to fried chicken, it was surprising that I didn’t get to eat the piece I got from the table. Not because it didn’t taste great (the crispy chicken skin was delicious!) 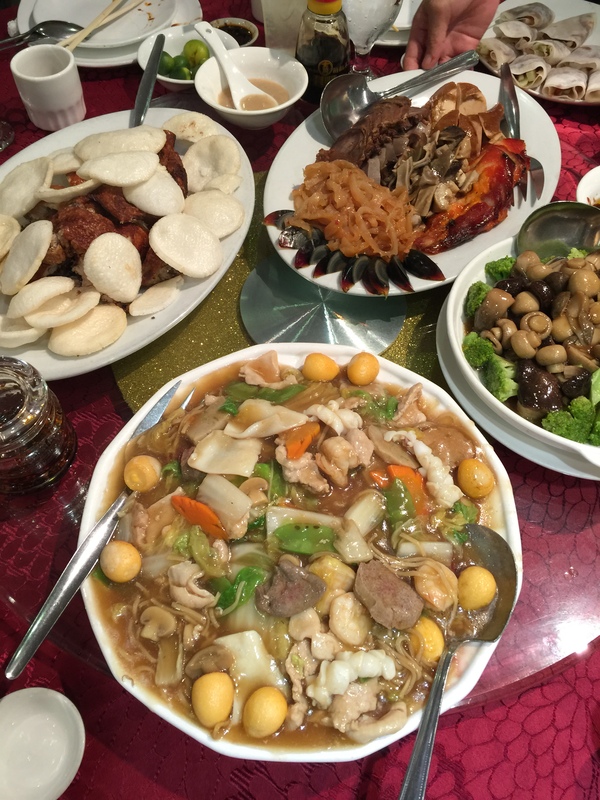 but because I had fun concentrating on my steamed fish, my veggies and the cold spicy jelly fish which was served as part of the Chinese cold cuts platter (including slices of century egg, braised beef, pork intestines, lengua and chicken). To accompany the meal, I order Avocado Shake. 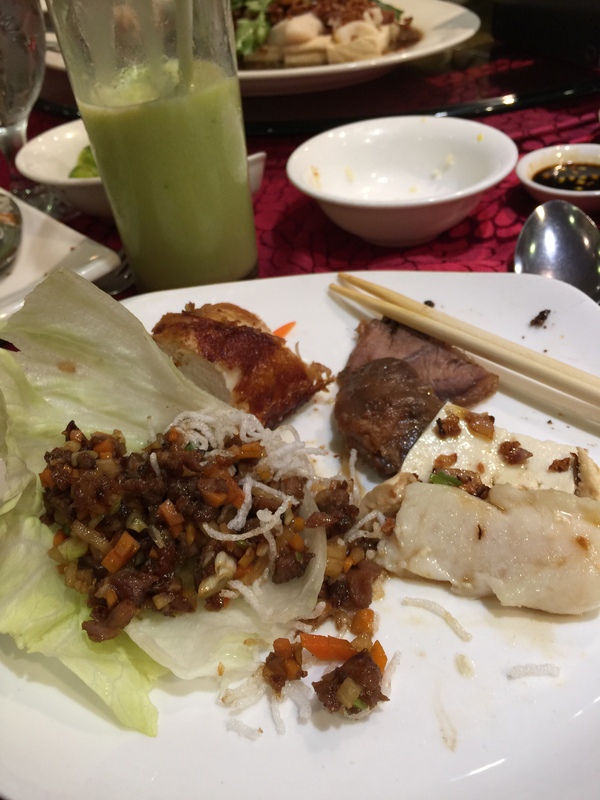 Mandarin Palace’s version was thick, sweet without being cloying and refreshing. We came on a Wednesday evening and was expecting the restaurant to be relatively empty. We were wrong. Tables are filled in quick succession and weren’t vacant for very long. However, staff is very attentive and efficient. Definitely a YAY! I know that Mandarin Palace is already famous among BF denizens and their surrounding areas. 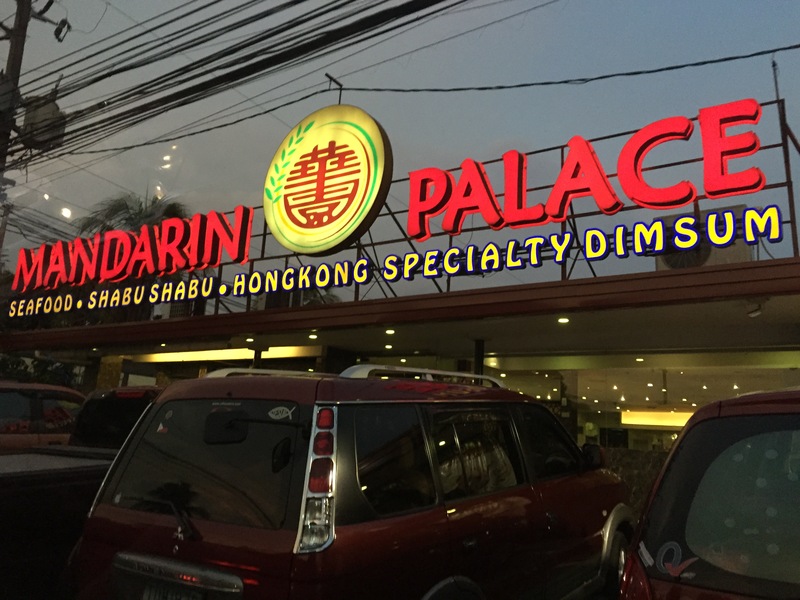 If you’re like me and out to discover new restos aside from those found from the reliable Ayala Center Makati and you are in the area — try Mandarin Palace. It’s worth it. Allot at least PHP500 per person.